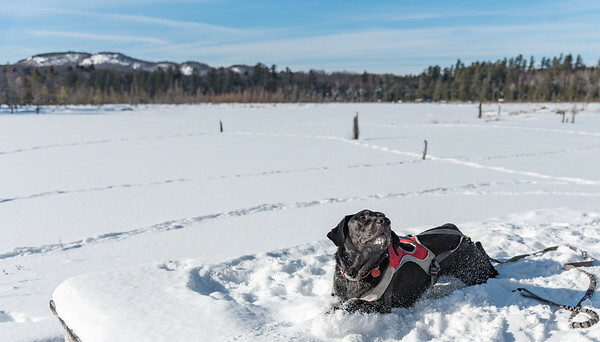 Khyber enjoying fresh snow at the Paul Smith's College VIC. 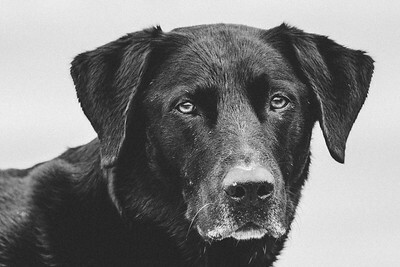 Khyber posing for a photo at the Paul Smith's College VIC. 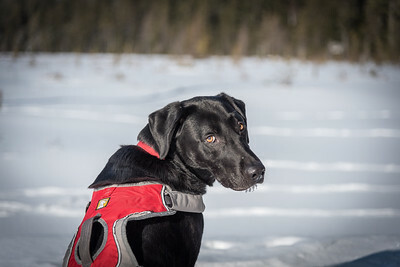 Khyber exploring the Marcy Swamp area. 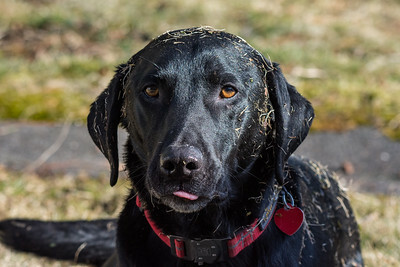 Khyber sticking out his tongue. 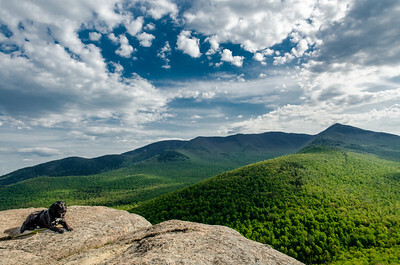 The view of Allen Mountain from the Hudson. 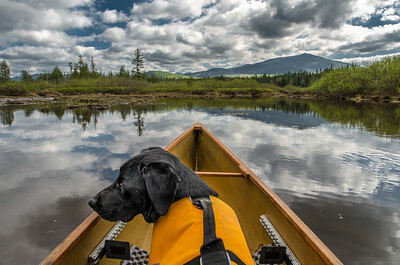 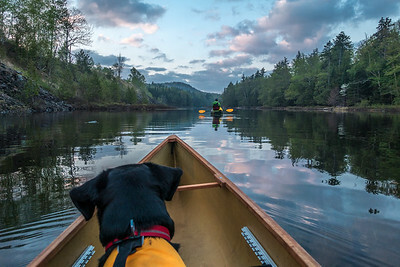 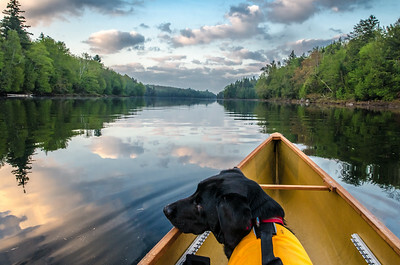 Dog enjoying a canoe ride on the Hudson River. 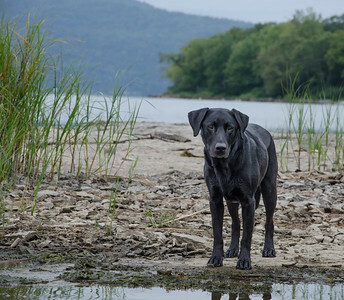 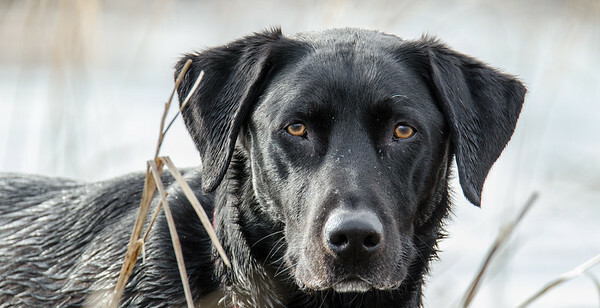 Khyber staring me down while wading in a wetland on Lake Champlain. 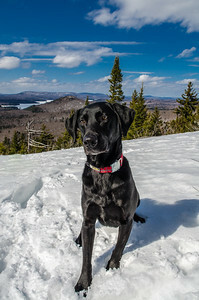 My Black Lab, Khyber, on the summit of Conney Mountain. 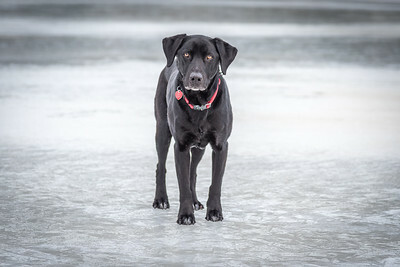 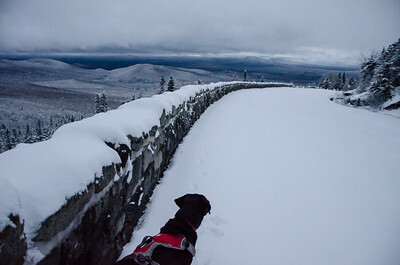 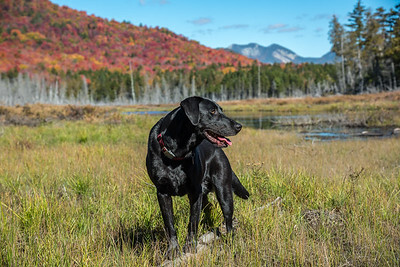 Black lab taking a break while skiing the Whiteface Memorial Highway. 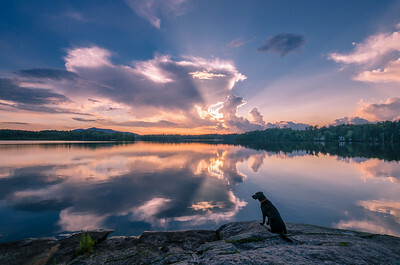 Khyber looking out over Lake Champlain.